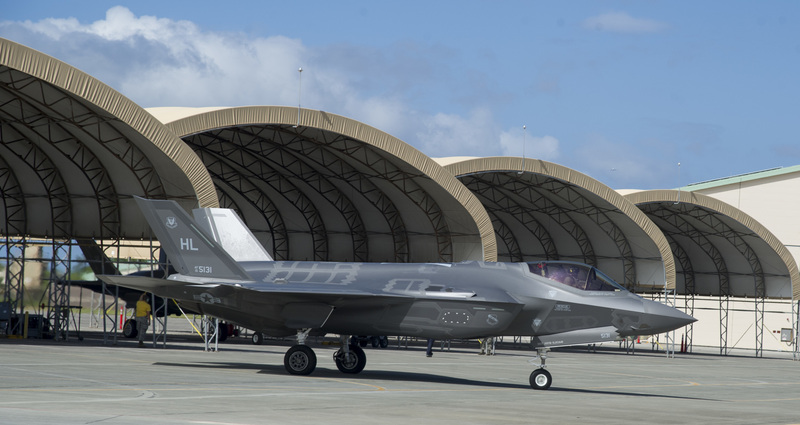 The U.S. Air Force has announced that it will send its version of the advanced F-35 stealth fighter jet to Okinawa’s Kadena Air Base next month in the first such deployment to the Asia-Pacific region. 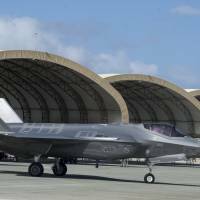 The air force said in a statement Tuesday that it would send 12 F-35 fighters and approximately 300 airmen to the Kadena base in early November for a six-month rotational deployment. The move, long anticipated, comes amid surging tensions on the Korean Peninsula over Pyongyang’s ever-improving nuclear and missile programs and as China continues to flex its military muscle near disputed islands in the East China Sea. The move had been expected after the stealth fighter was displayed at last week’s Seoul International Aerospace & Defense Exhibition. The North has made a series of breakthroughs in its nuclear and missile programs this year, conducting its sixth and most powerful nuclear test early last month and twice test-firing an intercontinental ballistic missile that experts say is capable of striking a large chunk of the U.S. In recent months, it has lobbed two missiles — believed capable of carrying a nuclear payload — over Hokkaido and threatened to target the area around the U.S. territory of Guam with “enveloping fire.” The isolated nation has also said it might test a hydrogen bomb over the Pacific Ocean. While next month’s dispatch of the powerful fighters will be the first to the region of the air force’s version, the Marine Corps has had its F-35B short-takeoff and landing variant permanently stationed at Marine Corps Air Station Iwakuni, Yamaguchi Prefecture, since January. Nuclear-armed North Korea boasted in March that test-launches of extended-range Scud missiles that month were a rehearsal for striking U.S. military bases in Japan. An open-source intelligence analysis of North Korean state-run media by missile experts later determined the Iwakuni base to be the hypothetical target of those drills. Besides American personnel, the U.S. base at Iwakuni is also home to Fleet Air Wing 31 of the Maritime Self-Defense Force, and other units of the MSDF. At present, the station has about 15,000 personnel, including Japanese nationals who are employed there.